Michael LeVan, a philosophy lover, was drawn to communication after realizing the field provided him with the best context for engaged and applied philosophical thinking. 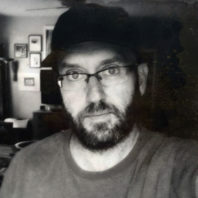 After graduating from the University of Virginia in 1990 with a double major in economics and philosophy, LeVan continued his education at Arizona State University. In 1994, he received his master’s there in philosophy. From 1994-96, he taught philosophy courses at several colleges in the Los Angeles area, including a special program with NASA’s Jet Propulsion Laboratory. In 2001, LeVan received his doctorate in communication from Southern Illinois University at Carbondale. Later in 2001, LeVan began teaching undergraduate and graduate communication courses at the University of South Florida. He taught at the university until 2015 and also held the position of Undergraduate Program director. When LeVan isn’t teaching, he publishes articles on technology, performance, political thought, phenomenology, art, and culture. In 2005, he started the world’s first peer-reviewed multimedia journal of performance studies, “Liminalities,” and continues as its editor-in-chief. In 2013, LeVan was awarded a Distinguished Service Award from the National Communication Association for his work in the journal’s multimedia forms of research presentation. LeVan hopes to use his research to write book-length projects. Now a professor at the Washington State University Vancouver campus, LeVan said he enjoys incorporating his philosophy background to teach Foundations of Persuasion, Media and Society, Public Speaking in the Digital Age, and Communication in Global Contexts.